Our well-designed floor plans feature patios or balconies with outside storage, kitchens with pantries, fireplaces in select units, built-in computer desks, and his-and-her closets. 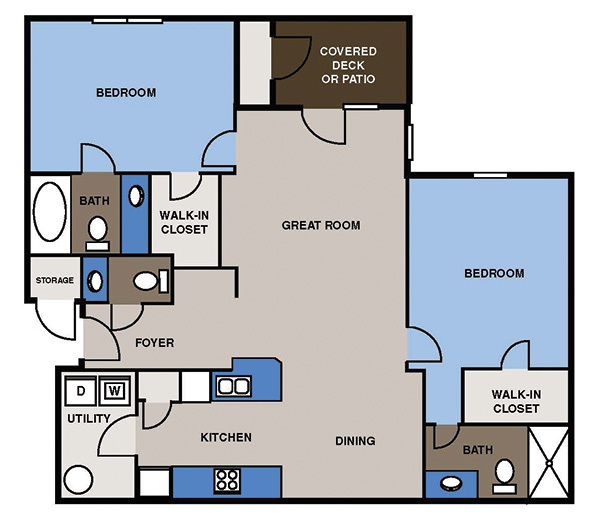 Birchfield Fine Apartment Homes offers two-bedroom master suite floor plans and spacious three-bedroom plans so you’re sure to find the perfect apartment home! A two-bedroom, two-bath split floor plan, the Burgess features 1,076 square feet of living space. A galley-style kitchen leads to an open living room and dining area. The Burgess starts at $900. 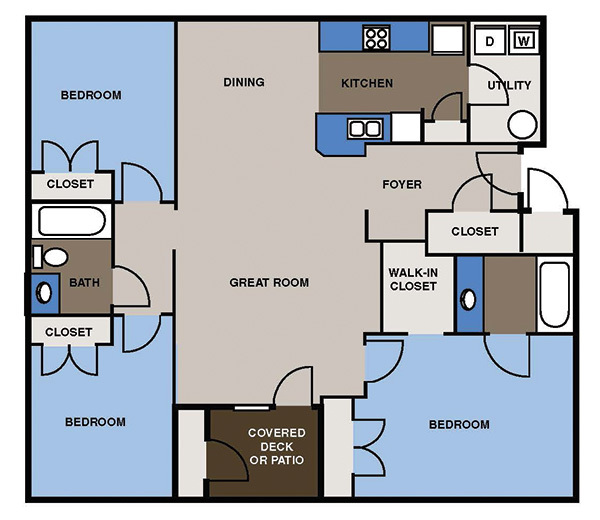 The Brieson is a two-bedroom, two-and-a-half bath unit with 1,154 square feet of living space. This split plan includes a covered deck or patio and plenty of storage with large walk-in closets. The Brieson begins at $1,028. 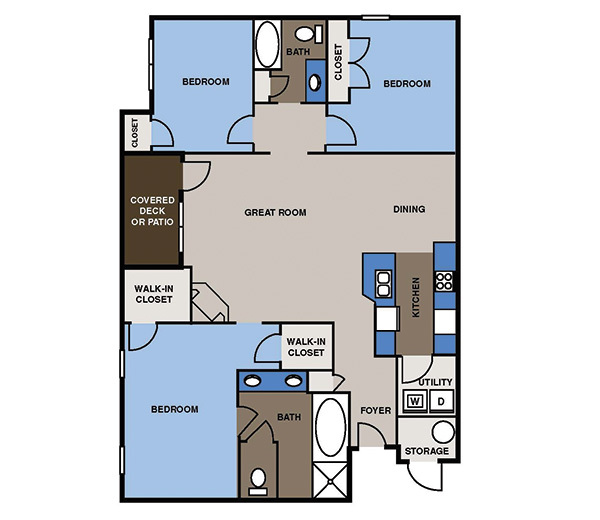 With three spacious bedrooms and two bathrooms, the Hurley offers plenty of living space. The great room is open to a dining area off the kitchen. This unit also features large closets and a utility room with washer-dryer hook-ups. The Hurley is 1,377 square feet and starts at $1,030. 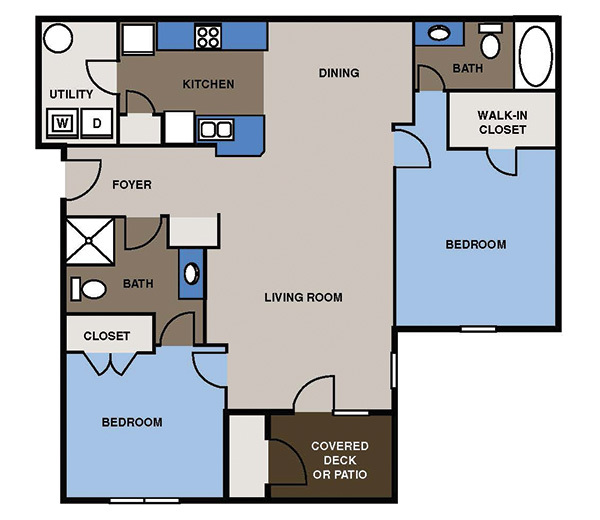 At 1,465 square feet, the Tavona is a three-bedroom, two-bath unit that offers plenty of elbow room. This airy floor plan begins at $1,150 and features a master suite with a large walk-in closet and full bath. A utility room with washer and dryer hook-ups is located off the galley-style kitchen. 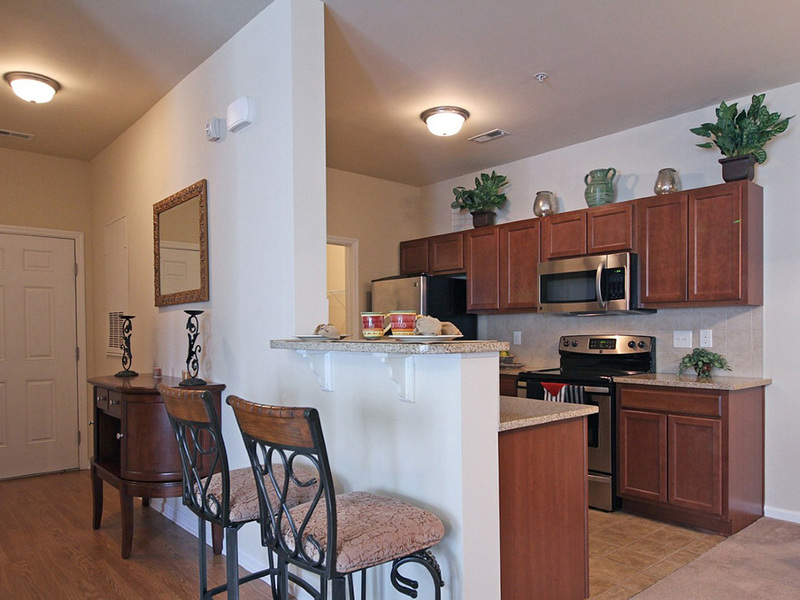 Our largest unit, the Trio, offers three bedrooms and two bathrooms. A spacious great room leads to the covered patio or deck. A separate dining area is located off the kitchen. 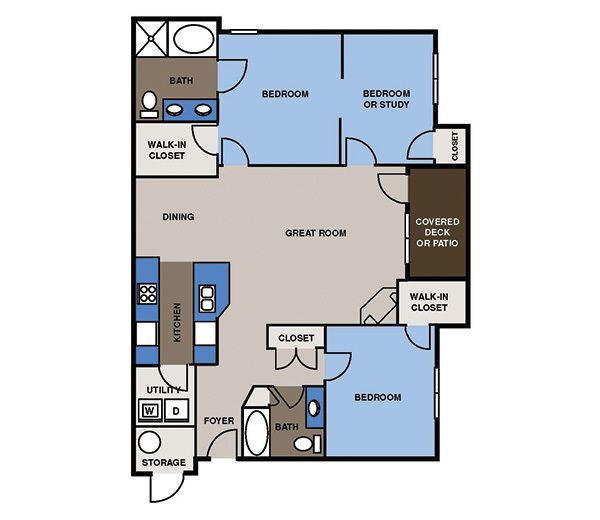 The Trio features a roomy 1,548 square feet of living space and begins at $1,225.